HBO’s limited series “Sharp Objects” uniquely features four songs from legendary 1970s rock and roll band, Led Zeppelin. The show’s music supervisor, Susan Jacobs, tells Business Insider about the months-long process to gain the rights to the music. But Zeppelin continues to get requests because when the band does say “yes,” the scenes can become iconic. Amy Heckerling’s 1982 classic “Fast Times at Ridgemont High” famously got the band’s ok to use “Kashmir” in one scene (it might have helped that the movie’s screenwriter, Cameron Crowe, used to cover the band for Rolling Stone). Recently, Adam McKay’s “The Big Short” was able to get “When the Levee Breaks” in its trailer and the movie’s end credits. Because Zeppelin needle drops are so hard to come by, it makes the incredible use of the band’s music on the HBO limited series “Sharp Objects” so special. And you can thank the show’s veteran music supervisor Susan Jacobs for pulling it off. Jacobs is no stranger to clearing Zeppelin. She did it for two David O. Russell movies (“The Fighter” and “Silver Linings Playbook”) before her latest collaboration with “Sharp Objects” director Jean-Marc Vallée (“Big Little Lies”). But just because she did it before didn’t mean getting the songs for the show was easy. Simply put: “You never go into Led Zeppelin assuming you’re getting Led Zeppelin,” Jacobs said. Based on Gillian Flynn’s debut novel, “Sharp Objects” follows newspaper journalist Camille Preaker (played by Amy Adams) who returns to her hometown to report on a series of murders. However, the assignment brings memories of her troubled past, and matched with her dependency to alcohol, it leads her into a tailspin. Vallée uses moody Zeppelin songs “In the Evening,” “What Is And What Should Never Be,” “Thank You,” and “I Can’t Quit You, Baby” as a way to delve into Camille’s psyche, but the songs are also her escape hatch when things are getting too out of hand, as she plays the music constantly through a beat-up iPhone. The use of Zeppelin is one of the biggest additions Vallée made to his adaptation of Flynn’s novel, as the band is not mentioned at all in the book. However, the unique guitar sounds of Jimmy Page and howls of Robert Plant feel essential to the story. Jacobs said that was the intention Vallée had when he asked her to try to clear Zeppelin long before production began on “Sharp Objects” (typically music supervisors begin working on movies and TV shows toward the end of production or the start of post production). He wanted the band specifically because Camille’s story needed an epic sound. Jacobs has been working with Vallée since his 2014 movie “Wild,” and his love for meaty soundtracks in his work has only become more refined since, as evident in his previous HBO project, the 8-time Emmy-winning “Big Little Lies” (Jacobs won an Emmy for music supervision on the show). So she knew that Vallée’s Zeppelin ask clearly wasn’t just to play a song or two in the background of scenes. And that led to the first hurdle for Jacobs: how to start the conversation with Warner/Chappel, the publisher of the band’s songs. “Crafting the pitch for me can be three weeks of solid trying to write the right letter,” she said. A music supervisor’s role in trying to get music rights is partly keeping the filmmaker happy, but also the music publishers and artists. Jacobs called herself a “marriage broker” in the experience. “I think it’s about putting in a lot of time and making really clear what you are asking for and why you’re asking for it, why is that song important?” she said. And with Zeppelin it took months to pull off. 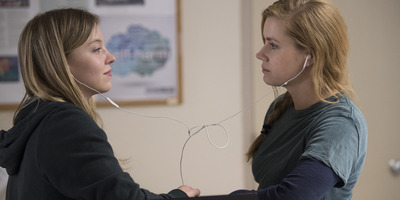 Jacobs said there were numerous pitches, which stated some specifics of what “Sharp Objects” was about and listing the key cast and director involved, as well as the songs they wanted (which were the ones that ended up in the show). And it wasn’t just one, she had to send pitches for each level of approvals she got through. After that, it became a waiting game. “It wasn’t begging and pleading and banging on the doors, it took a long time,” said Jacobs, who declined to divulge how much it cost to clear the songs. Jacobs said one of the big keys was that she was dealing with someone on the publishing side who knew Vallée’s work. 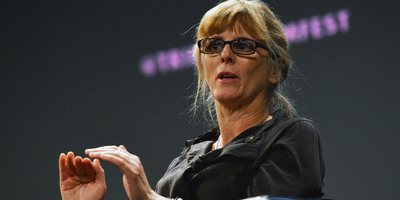 Wendy Christiansen, the senior VP of film and TV music at Warner/Chappel, had direct contact with the band and made them understand that the music would be in good hands. Vallée and Jacobs needed a voice like that because there was nothing to show the band of how the music would be used. Jacobs had started the talks so early on that much of the negotiations were going on during preproduction and the shooting of the show. It wasn’t until the editing of the episodes began that Zeppelin finally agreed to clear the songs. Jacobs said there are 23 uses of the four Led Zeppelin songs in “Sharp Objects,” but you’d have to have a good ear to catch them all. In some episodes there may be a faint three-second sampling of a single song, in others there may be a few verses of multiple songs throughout. Vallée made Zeppelin almost another character in the story. 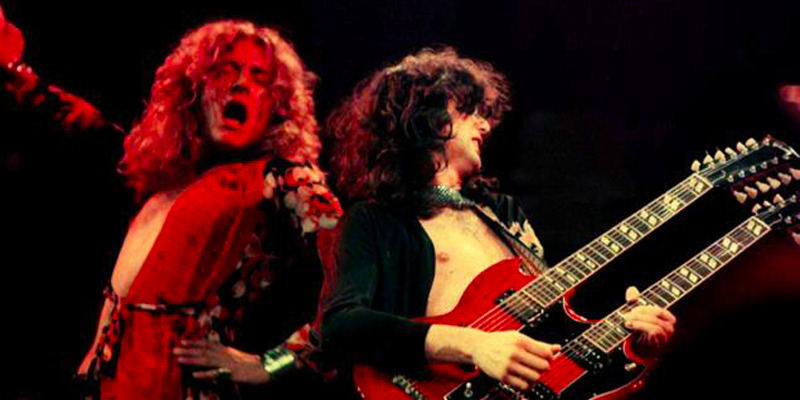 According to Jacobs, Vallée wanted Zeppelin in the show because the band’s music got him through the tough times of his youth. He felt many watching the show would relate. And as we learned in the “Fix” episode, the band’s music became an important part of Camille’s life in one of her low points. In flashback scenes, we learn that Camille went to rehab before going back to her hometown at the start of the series. There she became friends with her roommate Alice, who constantly played Zeppelin songs on her phone. Like Alice, Zeppelin became Camille’s escape from the world. At the end of the episode, Camille discovers Alice’s body after she has committed suicide. Camille moves forward with her life with the help of the Zeppelin songs Alice introduced to her. The songs would become as prevalent to her as the scars we see all over her body as the show evolves. Jacobs said she never explained in her pitches to Zeppelin the way Vallée would use their music, though she did hint that the music would play a big part in the life of a character who is dealing with a lot of pain. But what would have happened if Zeppelin didn’t give permission for the music to be used? Jacobs said they would have had to move on to another substantial band, perhaps The Rolling Stones, she said. But she admits she and Vallée never had to have a serious talk about a plan B. Though Jacobs has once again been successful in getting Zeppelin for a project, she admitted there’s still so much mystery every time she attempts it. She said she has no relationship with the band, in fact, she has no idea if the band members have seen “Sharp Objects,” or any of the movies where she’s used their music. 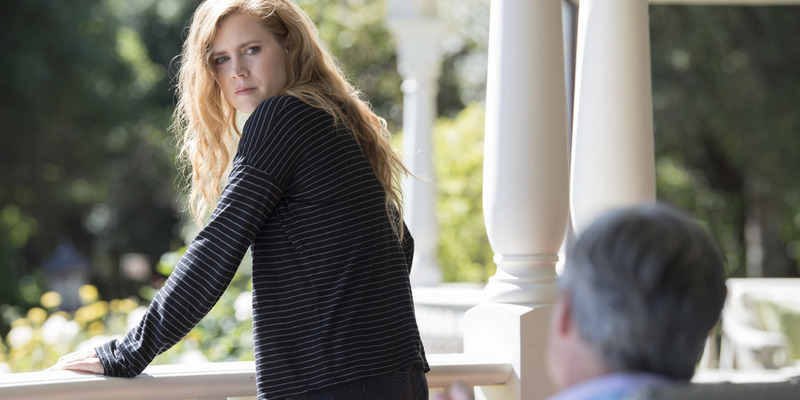 “Sharp Objects” airs Sundays on HBO.